This meeting will consist of two days of oral platform presentations, discussions and posters plus an optional conference meal on the first day and an optional field trip to the fossiliferous Kimmeridge Bay area on the third day. This conference is open to all, and we invite professionals, amateurs and enthusiasts in the field of marine reptiles to attend. The primary focus will be on the fossil record, covering not only the marine reptiles but also the other organisms which formed part of their ecosystems. A session will also take place on modern reptiles, and we welcome abstracts from researchers studying all aspects of this field. Previous fossil marine reptile meetings have been well-attended, yet the last was in 2009. This conference would give a wide range of researchers, students and amateurs the opportunity to present on marine reptiles and their environments, and hear about the latest theories and discoveries. Up to 30 talks, spread across 2 days, would be split into 8 sessions covering themes such as: origins of Mesozoic marine reptiles, taxonomy, modern analogues, foodwebs and predation, and palaeoart. If successful, our aim is to hold the meeting every 2-3 years. 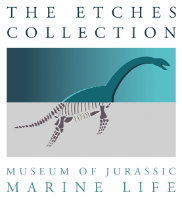 The intended venue is the museum The Etches Collection which holds a world class collection of Jurassic marine material, with numerous holotypes and newly discovered marine reptile species. It also has a comprehensive range of fossil material that represents the Jurassic marine ecosystem, with many showing evidence for predation. We will approach Keynote speakers and encourage them to publish their research in Palaeontology following the meeting.